Item # 286383 Stash Points: 3,995 (?) This is the number of points you get in The Zumiez Stash for purchasing this item. Stash points are redeemable for exclusive rewards only available to Zumiez Stash members. To redeem your points check out the rewards catalog on thestash.zumiez.com. 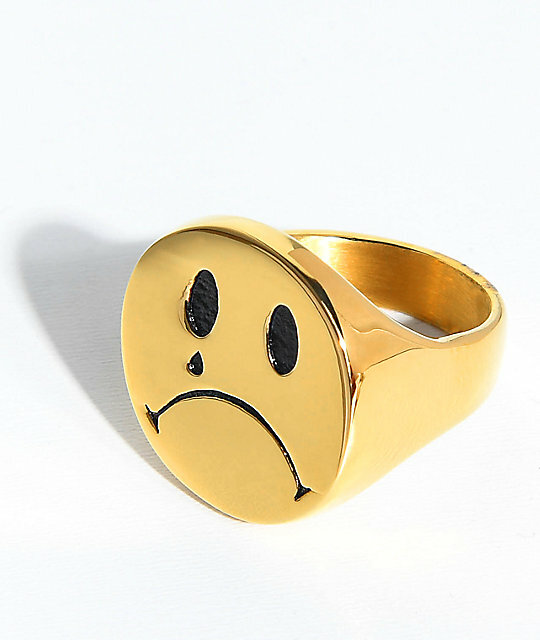 The handcrafted Cry Later gold ring from Han Cholo features a smooth gold exterior topped with a classic tear face emoji so you can send your haters a message. 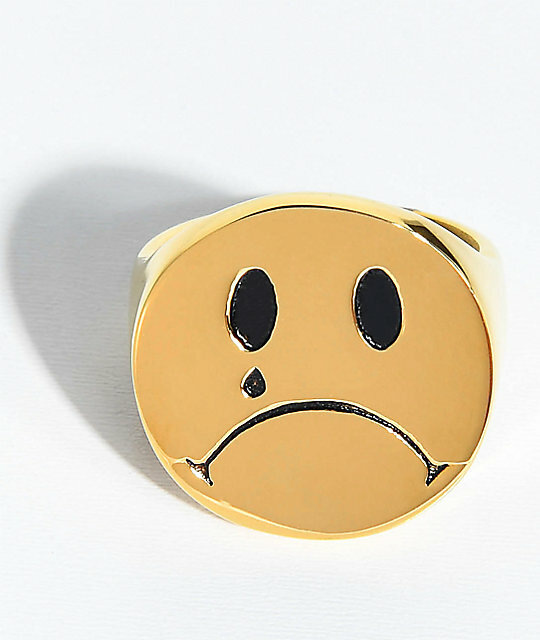 Cry Later Gold Ring from Han Cholo.